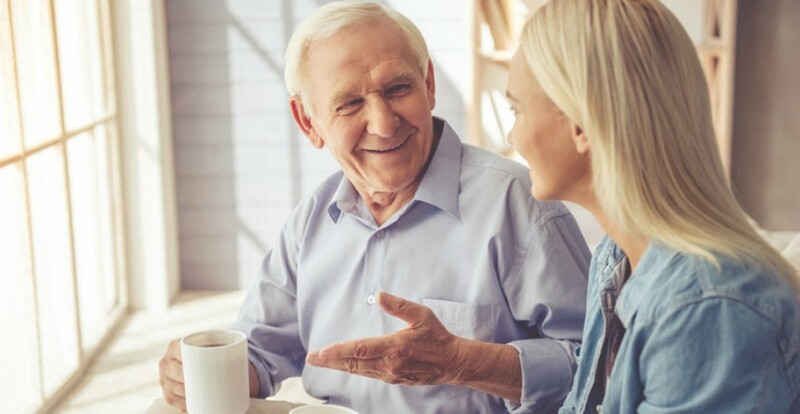 Elder care planning involves a plan of action that not only involves communicating an older loved one’s choices in their personal, physical and financial matters, but also aids family members, caregivers and advocates in helping them plan the final years of life. Although it may be a difficult conversation to have, the long-term care and comfort of your loved one is something that should be discussed and planned out by everyone involved out well in advance. Because there are so many important topics to cover – from money management, home care agencies and senior assisted living, to retirement income, savings and investments and legal financial advice – it’s hard to know exactly were to start. Below are a list of areas that Freedom Home Care came up with to help you begin. Experts suggest calling adult family members together for a meeting to discuss care options for your senior. If distance is an issue, try holding a conference call with the people who will be involved in the process. Having a meeting when deciding end-of-care options helps get everyone on the same page. It addresses any concerns your loved one or other family members may be having regarding the role each person is/will be playing, the type of care that will be needed, any financial commitments expected and any other important information that needs to be shared. Handling sensitive documents involving the finances, identification and health and wellness of your loved one, is another important element of elder care. The person advocating on your senior’s behalf should have copies of important paperwork including bank accounts, credit cards, wills, trusts, life insurance and annuities, medications, health insurance, burial plots and end-of-life wishes. Having these items organized and up-to-date will help make things easier to locate when you need them. Another aspect of long term care planning is determining where your loved one will live once they can no longer care for themselves. Many seniors would rather be someplace comfortable and familiar like their apartment or home, but your family will have to decide if living alone as they get older is the safest and best choice for a loved one. Be aware that discrepancies may arise over everything from the best mobile app to keep your senior connected, to where they should spend their twilight years. This is normal. keep in mind, patience and understanding is crucial in order to achieve the most successful outcome possible when planning for long-term care. As with any discussion about end-of-life care, you’ll want to make sure the wishes of your senior are considered first and foremost. This will help to facilitate less resistance, while ensuring that their dignity and independence remain intact.